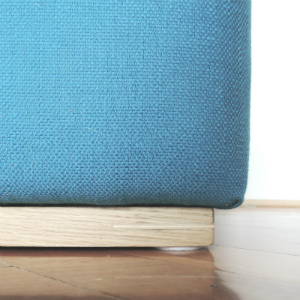 Soooo… we are sorry for a little delay with the posts. Our current project is restoring an old fence in the garden. 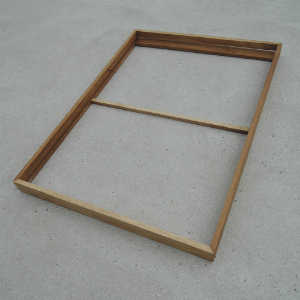 We thought that the project would take us a weekend, maybe two and that we would have a post written by this weekend. Well, there was some bad weather and 16 m (52 feet) of planks that needed two coats of paint on both sides. 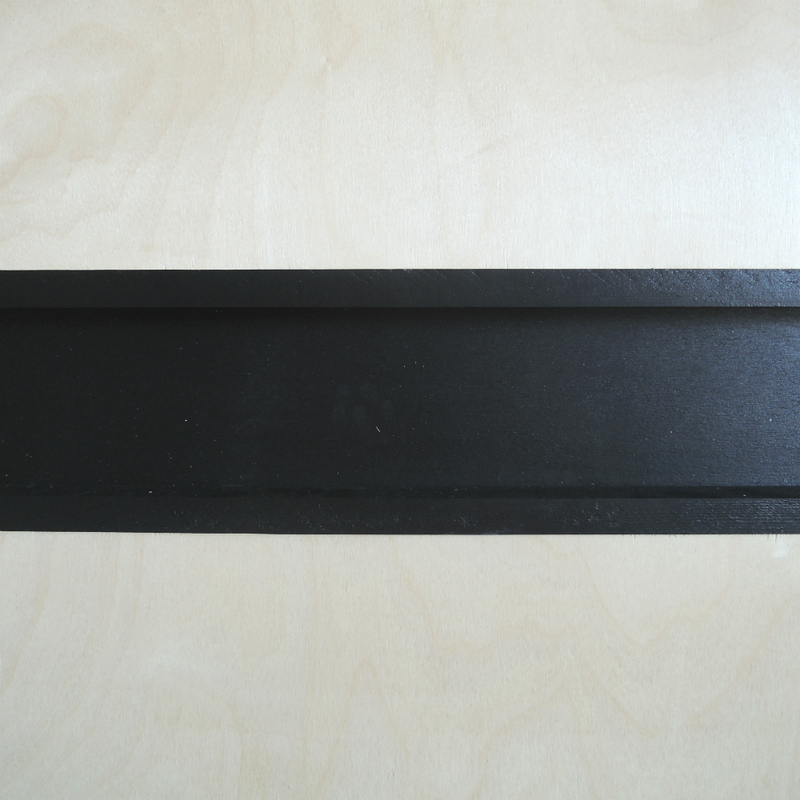 I hope we’ll share a part one of that project in a couple of days. 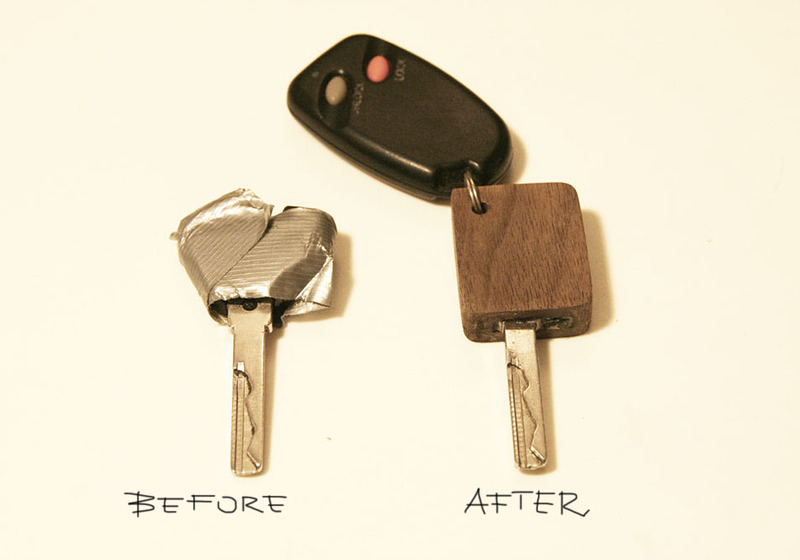 But in the meantime here a little quick fix of a car key. 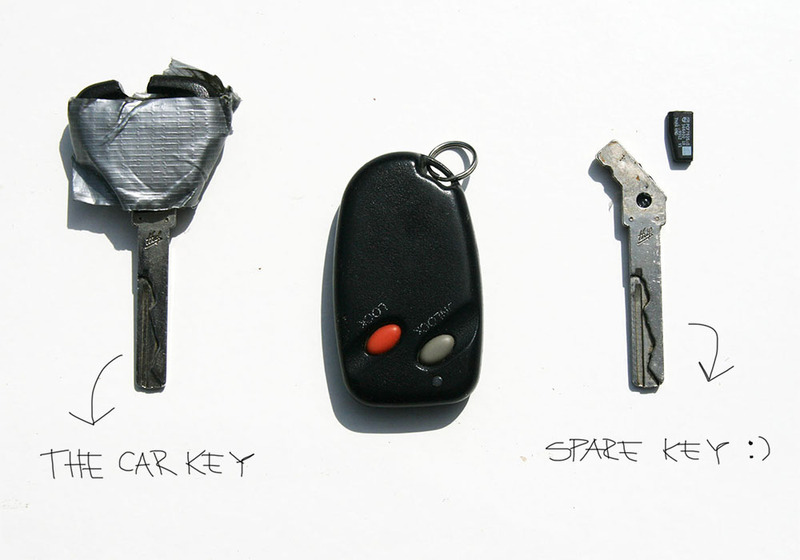 First, he disassembled the key and took out the sensor and the key and discarded the plastic. 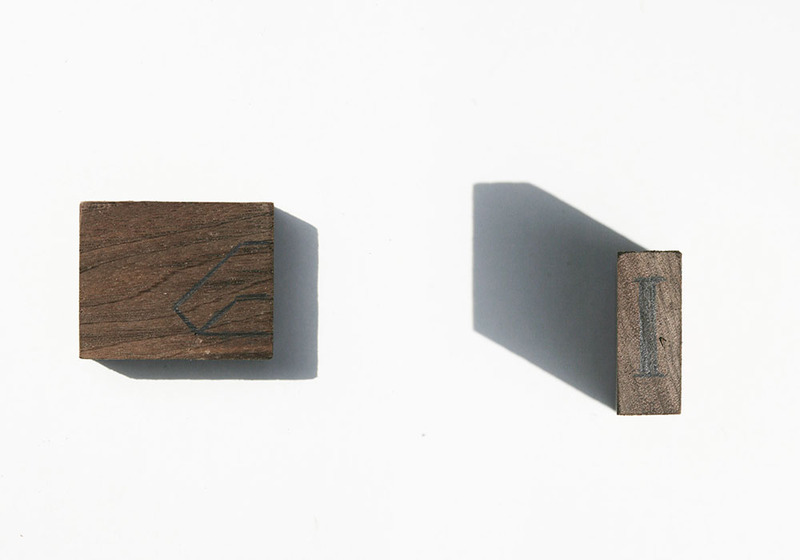 He went to his workshop and found a little piece of walnut that he liked. Then he used his saw and cut it to the desirable length and width. 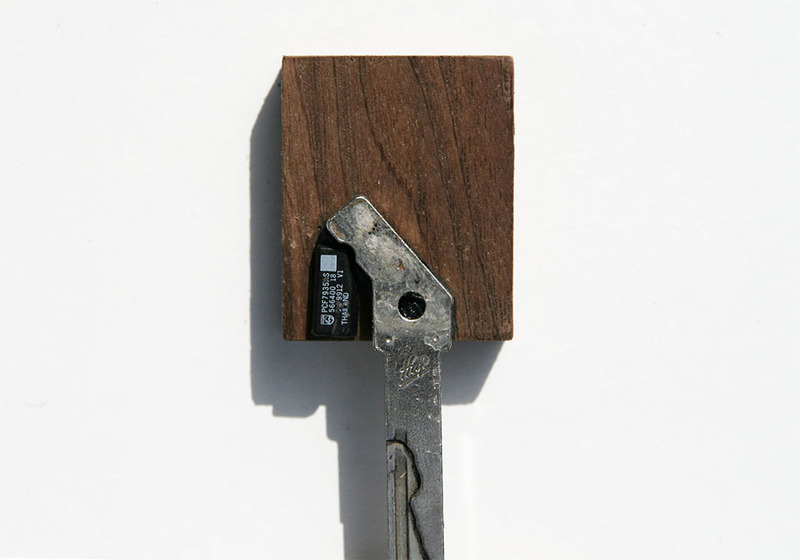 On that little piece of wood he drew the silhouette of the inner part of the key and a little space for the sensor. 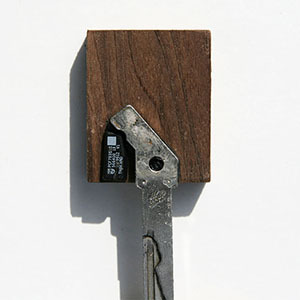 The space for the sensor needs to be very close to the edge, because the wood is denser than the plastic. He learned his lesson in the first try. The engine started but stopped after 2 seconds, because there was no signal from the sensor. It was too deep in the wood. On the second try he got it just right. 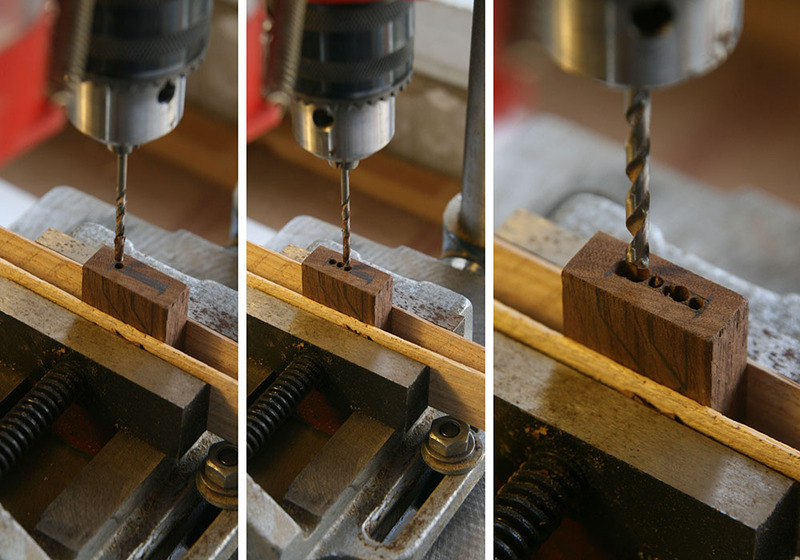 With a bench top drill he drilled a few small holes and then widened them with a bigger drill. He was left with a hole in the shape of the silhouette. 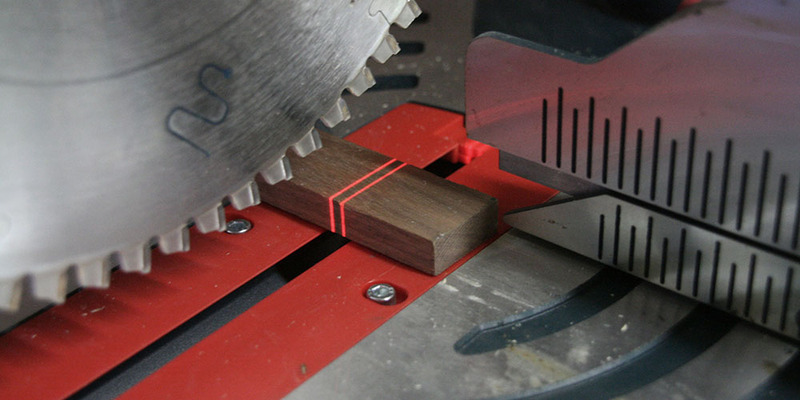 Then he chiseled the edges to make a hole square. Now he tried if the key fitted in the hole and made some small adjustments. 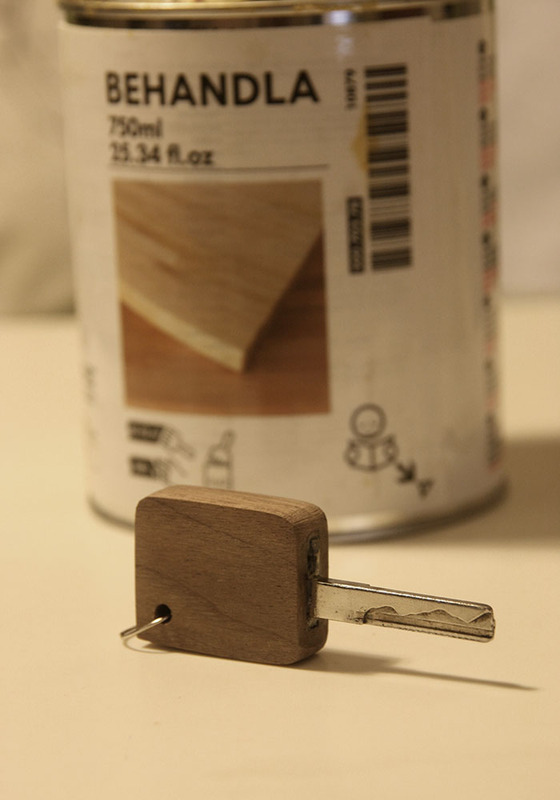 Last he drilled a little hole for the key chain and sanded the edges. He used a regular wood glue and glued it all together. 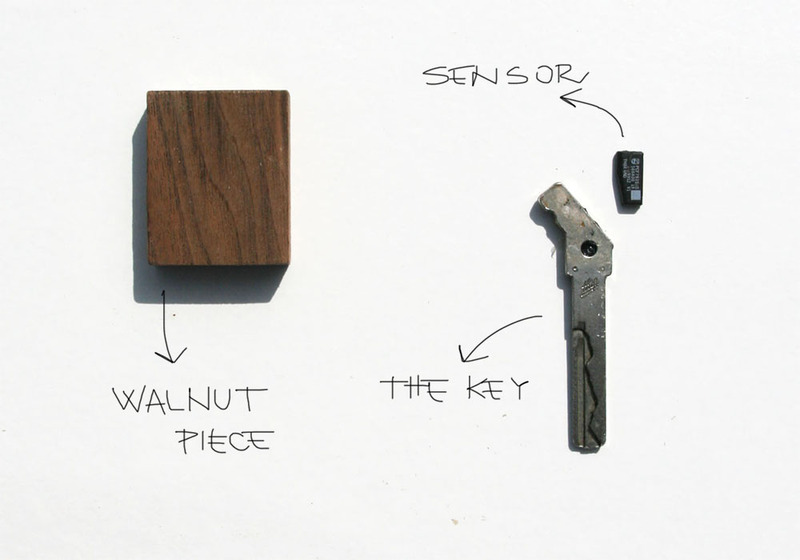 When the glue was dry, he oiled the wood to bring out the beautiful grains of the walnut. Do you offer the car keys for sale? 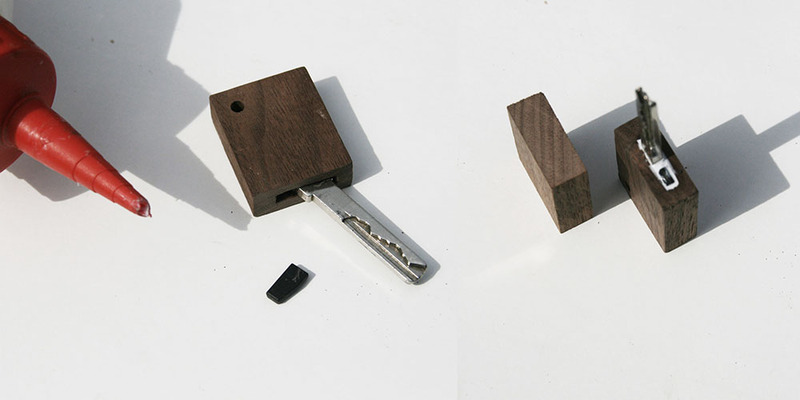 I have been looking for a wood cover for my broken keys and this is exactly what I was looking for.